Serial Report Chapter 83-serial photos. 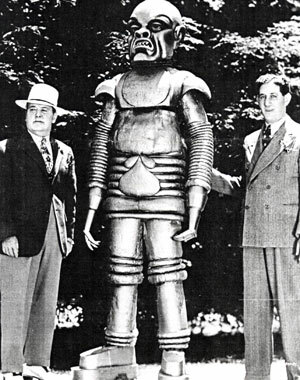 The eight ft. robot from Universal’s “The Phantom Creeps” (‘37) stands beside producer Henry MacRae (left) and director Saul Goodkind. 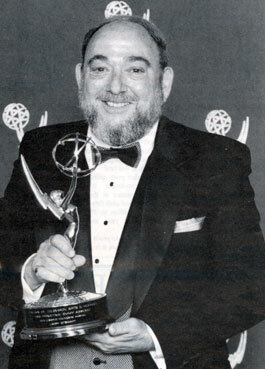 Larry Stewart as the 1995 receipent of the Syd Cassyd Founders Emmy Award for long and distinguished service to the Academy of Television Arts and Sciences. 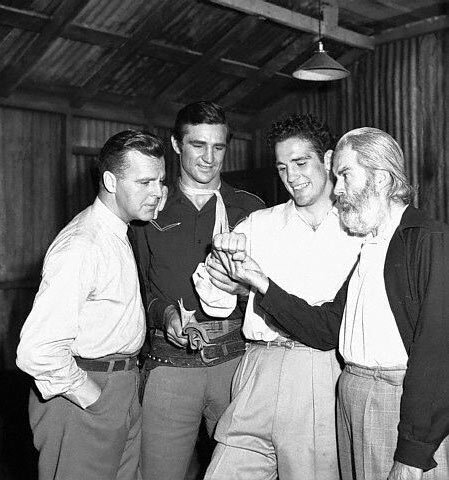 Stewart was a past president and earlier co-starred in Columbia serials “Captain Video” (‘51) and “Black Hawk” (‘52). 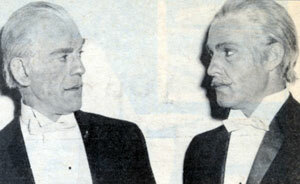 Boris Karloff for a film. to a villa in France. 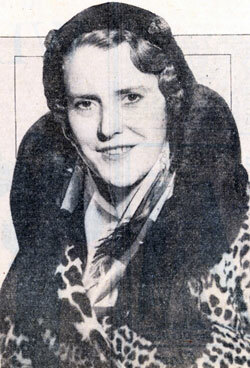 Silent Serial Star Ruth Roland in December 1931. 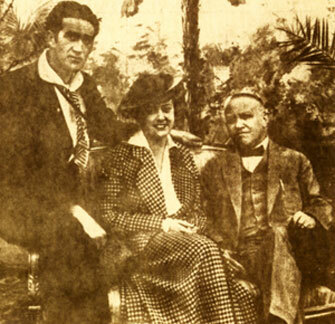 Roland starred in 13 silent cliffhangers from 1915 to 1923. 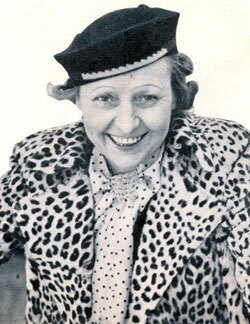 Silent Serial Heroine Grace Cunard, Francis Ford (left) and Universal head Carl Laemmle in February 1932. 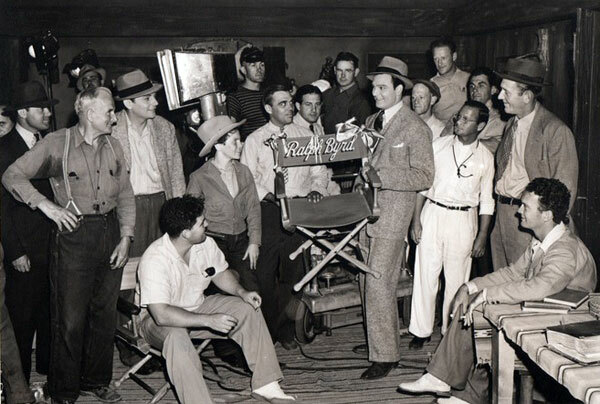 After being away from film since 1929, Cunard had just completed a role in “Heroes of the Flames” (‘31 Universal). 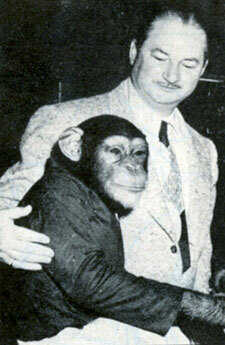 Columbia serial producer Sam Katzman with Tamba the chimp in December 1952. 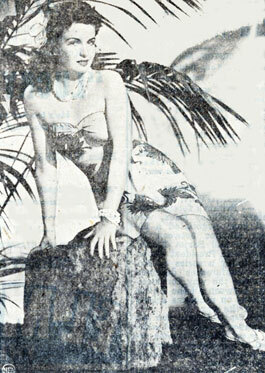 Universal serial “Don Winslow of the Navy” co-star Elyse Knox in ‘43. “Jungle Girl” (‘41 Republic) Frances Gifford selected in 1943 as a filmdom Sarong Girl.